I am loving the Eco Friendly BPA Free Sport Water Bottle it is so neat how this bottle is made of silicon and can be folded to save on space. 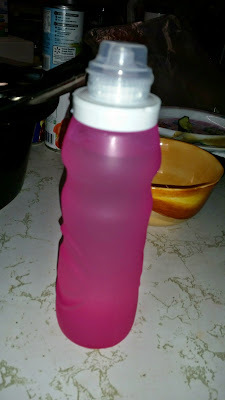 I can take this bottle in my gym bag or purse and folded up it takes no room space at all then when I get there just fill it with water. Weather you're going to a picnic or a hiking trip this bottle is amazing just clip it on your book bag with the special hook. This bottle is very easy to wash just suds it up and use warm water the top that comes off you can't really fit a sponge into it but it's still pretty easy to wash. If you go to the gym a lot or outdoors hiking stuff like that I highly recommend this. Everyone knows that drinking water is healthy and that's why you try to get your daily 8 glasses of H20. You carry a water bottle around or worse yet you buy water bottles every day! Stop wasting money on plastic bottles you lose all the time and feeling guilty about throwing your empty plastic bottles into the environment. Whether you're running, jogging, cycling, hiking, snowboarding, skiing, mountain climbing, camping or working out hard in the gym, the Mindbody Active bottle won't get in the way and you'll have peace of mind knowing that you're treating your body right! Our portable bottles are more compact and easier to transport than any other water bottle! When empty the Mindbody Active 20 oz bottle can be folded, rolled, or flattened to 1/4 its original size for convenient travel transportation. 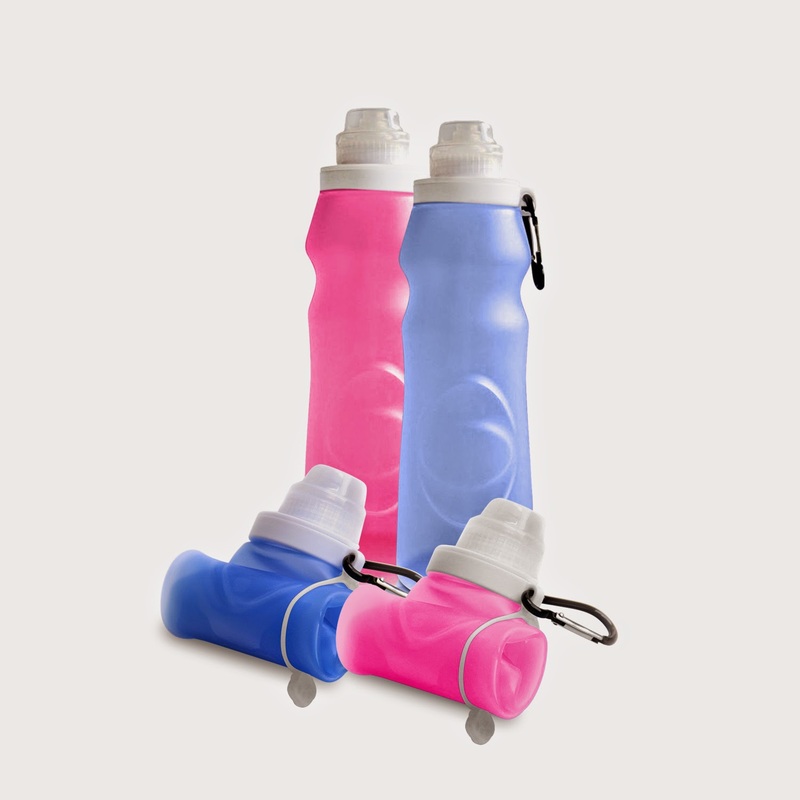 Simply refill and watch as this durable bottle stands straight up retaining its original shape. - 100% Food Grade SiliconDid You Know? Most plastic water bottles are made with harmful chemicals such as BPA and Phthalate. Researchers have proven these toxic chemicals can seep into your water from your plastic bottle, causing long term health effects such as cancer. Equip yourself and your loved ones with a BPA / Phthalate FREE 100% food grade silicon water bottle. Stay hydrated with peace of mind knowing your water is chemical free. Why Mind Body Active (MBA)? MindBody Active's goal is to help you live an active, healthy and environmentally clean life. All our products are environmentally safe and promote an active and balanced lifestyle.